Hello! I made this CAS card using a brass stencil that I bought many years ago at a garage sale. 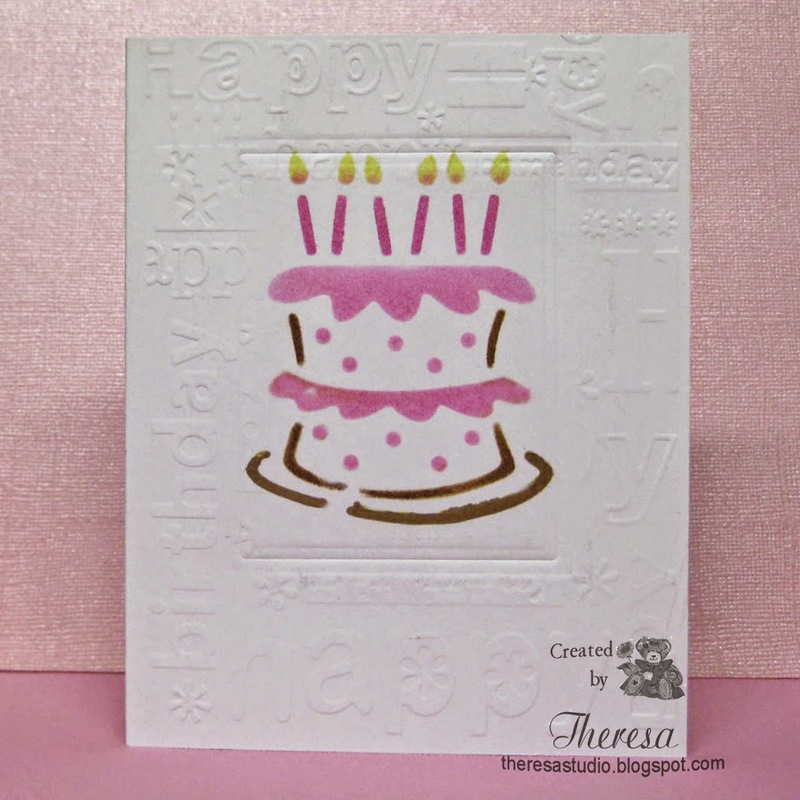 I used Distress inks with the stencil to create the image on a White Cardstock and them embossed around it with Cuttlebug EF Happy Birthday. I should have done the embossing first and centered the image better but c'est la vie. The pink from the backdrop reflected on the card in the photo but it is white. Tuesday Throwdown: Challenge #228 is Embossing. Oh what a beautiful card. It is a wonderful CAS card. Thanks so much for Joining us this week on Tuesday Throwdown Challenges.